Walter Leroy Moody, Jr., was executed by the state of Alabama on Thursday, April 19, 2018. He was pronounced dead at 8:42 pm CDT, inside the execution chamber at the Holeman Correctional Facility in Atmore, Alabama. His execution was delayed several hours due to appeals. 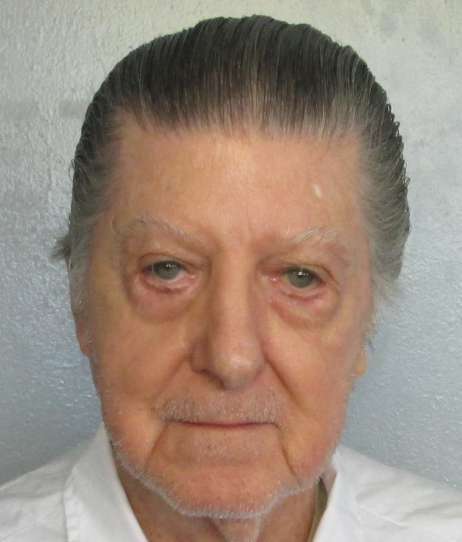 Walter was 83 years of age and is the oldest inmate executed in recent years in the United States. He was executed for the murder of 58-year-old US Circuit Judge Robert Smith Vance on December 16, 1989, in Alabama. Walter has spent the last 20 years of his life on in prison. In 1972, Walter Moody was convicted of possessing a pipe bomb and, when it exploded, injuring his wife. He served three years in a federal prison before being released. In 1985, Moody wanted to have his conviction overturned and, to that end, bribed Julie Linn-West, an acquaintance, to say that she personally knew someone else had placed the bomb in Moody’s home in 1972. Julie’s mother, Susan Eckstrom would also become part of the scheme by agreeing to testify that Moody was innocent. Moody’s attempts to have his conviction overturned were unsuccessful, as the District Court for the Middle District of Georgia denied his petition and was later affirmed by the 11th Circuit Court of Appeals. In 1990, he learned that his connection to Julie and Susan was being investigated. Moody attempted to continue to bribe Julie, and threatened to harm her mother, Susan, if Julie were to cooperate with law enforcement. Julie, however, had already agreed to help the government and recorded many of the conversations that she had with Moody. At the time, the government was also investigating Moody for the murder of Judge Robert Dance of the Court of Appeals for the 11th Circuit and for the murder of Robert Robinson, a civil rights lawyer in Savannah, Georgia. Judge Dance was murdered in his home on December 16, 1989, when he opened a plainly wrapped, brown package. Inside was a pipe bomb filled with nails, which exploded, killing him instantly and severely injuring his wife, Helen. Two days later, on December 18, 1989, Robert Robinson was killed in nearly identical circumstances in his home in Savannah, Georgia. In the following days, two other bombs were discovered and defused - one in Georgia and one in Florida. The pipe bombs were linked to the one for which Moody had previously been imprisoned, and the conviction which he was fighting. Moody was arrested for the murders in 1991. He was first tried in federal court for the murder of Robert Robinson, where Moody received seven consecutive life without parole sentences. He was then tried in Alabama for the murder of Judge Robert Vance, where he was sentenced to death. Please pray for peace and healing for the families of Robert Vance and Robert Robinson. Please pray for strength for the family of Walter Moody.